The financing of these public-private investment partnerships should also be compared. Walton acquired an art collection and developed the museum with her own (and her family foundation’s) funds. The public investment of Crystal Bridges largely came in the form of tax breaks, which were developed specifically to benefit her museum. So while the City of Bentonville did not concede any funds for Crystal Bridges, the State of Arkansas certainly did not benefit from the taxation on the construction of the new museum. The Fisher example is similar to Broad in several ways. 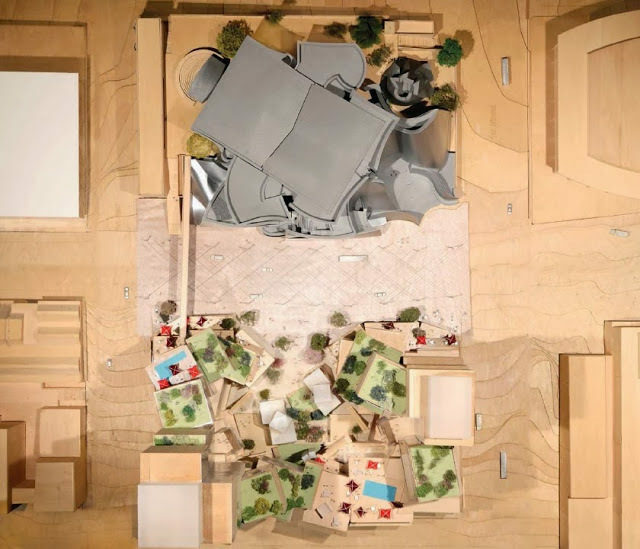 The Fishers have provided SFMOMA (an existing public institution) with funding for a new building to house their collections, operating under the assumption that the art will eventually (after 100 years?) be permanently donated to the museum. 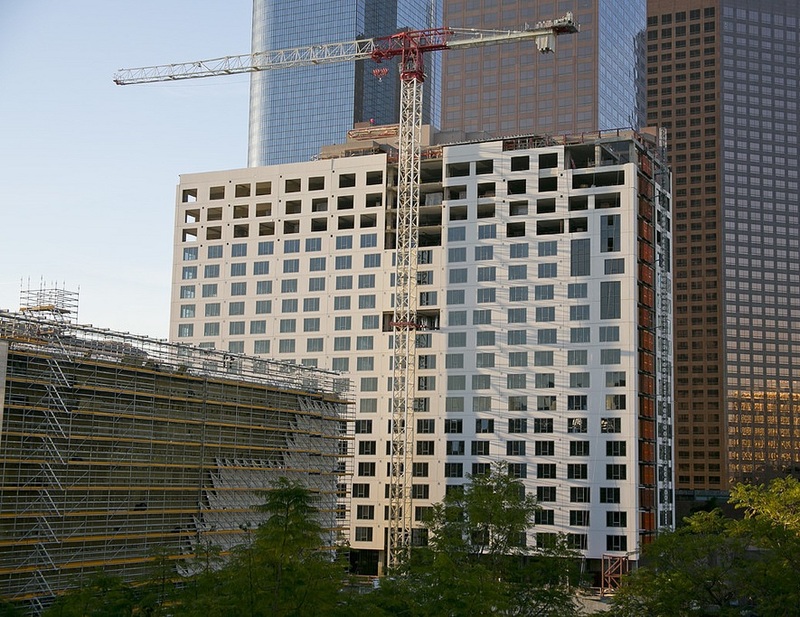 Similarly Eli Broad provided funds to LACMA for the BCAM building, with LACMA assuming the building assured the donation of the Broad collections. Broad didn’t even wait for BCAM to open to let LACMA know they would not be getting his collection. By comparison, SFMOMA’s 100-year-long loan seems gracious. But can even this be considered a sure thing? And is it fair for public institutions to have to raise and spend monumental amounts of funds to satisfy their ends of the deals they have made with philanthropists? The Lucas Cultural Arts Museum has been widely reported as a $700 million project, all coming Lucas’s wallet. What isn’t mentioned is what the City of San Francisco is contributing to the public-private investment. If the Lucas Cultural Arts Museum proposal for Crissy Field had been chosen by the Presidio Trust the land would have been provided by the City or rented to Lucas, but no lease agreement was ever widely reported. Now the City is fumbling all over itself trying to offer Lucas other locations in a desperate plea to keep Lucas from taking his museum project, and billion-dollar collection, to Chicago. Yesterday it was announced that Mayor Ed Lee had given Lucas tours of Seawall Lot 330 a nice little piece of real estate along the Embarcadero that the Golden State Warriors were going to develop, as well as a tour of the contentious Piers 30-32, where up until last month the Warriors were planning to build their stunning Snohetta-designed basketball stadium. How much should the City charge Lucas for a long-term lease on either of these sites? The typical $1 for 100 years? Not in San Francisco. How come all of a sudden Piers 30-32 are a good location for the Lucas Cultural Arts Museum, but not for the Golden State Warriors Stadium? The NIMBY’s aren’t going to like Lucas’s museum either. The competition between Chicago and San Francisco that Lucas has orchestrated is exactly what Eli Broad did when he played Santa Monica and Beverly Hills against the City of Los Angeles so that he could get a better deal and the Downtown location he really wanted for his museum. I respect the Presidio Trust for not bowing to that kind of pressure; they didn’t say no to Lucas’s proposal just because it was ugly. Will taxes from redevelopment construction like the Arquitectonica-design building (background) help fund the Broad (foreground)? (Tax) Cash flow: from The Grand (bottom) to the Broad (upper left). 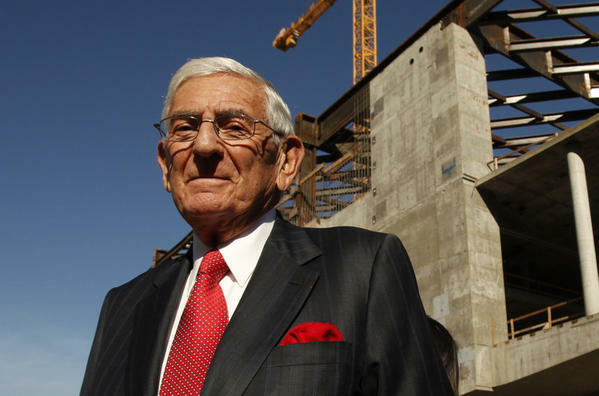 The dynamism of the public-private investment, while complicated in the cases of the Fishers, Lucas and Walton, reaches vertiginous levels of obfuscation in the case of Eli Broad and the financing of his new museum. These trends are on the rise, and this is why public-private investments, in my focus art museums, should be scrutinized. These issues and cases are important to explore as arts administrators: If our financial supporters are increasingly interested in engaging in complicated partnerships rather than outright gifts, then we must adapt. As I mentioned in the introduction to this thesis: that the public must take full ownership of their own agency in these public-private partnerships, so too must we as arts administrators take ownership of our agency and our roles in the negotiations of these public-private investments. Increasingly involved supporters (private collectors) of our causes should not hinder us from achieving our missions; this is an opportunity to engage with donors and supporters, to further educate and inform them, using them more strategically, so that through these public-investments we can increase, maximize, and optimize the benefits we offer and contribute to the public. [i] Mike Boehm, “The Grand Plan for the Broad museum,” Los Angeles Times, January 6, 2011. [ii] Carol Vogel, “Boon for Broad Museum: Millions From Developers,” New York Times, August 2, 2010.